If your company uses Google Analytics, you have probably received a string of emails nudging you to update settings for the upcoming GDPR changes. Google is just one of the many online giants who have been rolling out new terms of services before the new regulation comes into effect. In this post, we’ll see what these changes will affect all businesses, with a special emphasis on your fraud prevention tool. Stronger emphasis on user consent: companies will need an explicit statement from users for their data to be collected. It will certainly mean a complete revamping of Terms of Service and the way users interact with your website. More transparency over collected data: users must be able to download all the data a company has gathered on them. This feature has already been rolled out by a number of companies such as Facebook or Google. Hefty penalty fines: set at 4% of a company’s global turnover (or $20 million – whichever is larger) a violation fine could completely sink a young startup, and put a big dent into an established firm’s net profits. Worldwide effect: technically speaking, the GDPR is only enforced for citizens of the European Union. But the global nature of data on the Internet means everyone is likely to be affected. Hard deadline: While there has been a two year transition period since it was adopted, the GDPR comes into full effect on the 25th of May 2018. If the layman explanation above doesn’t give you all the answers, please read the terms as directly quoted from the regulation documents. They provide fantastic clues as to what is clearly defined, and what gives room to interpretation. Fraud prevention cannot exist without user data. Some legacy platforms have built their entire system on the ability to share fraudsters’ data to prevent their next actions. Even the most forward machine-learning solutions need to collect and enrich data based on submitted information fields. We’re really talking about data quality here. Is it relevant – and justifiably so? Will your company get in trouble for sharing information with the fraud prevention platform if it is deemed necessary? Your company’s TOS need to be updated. But what about those of the fraud prevention platform? Do they take into account right of access without sacrificing efficiency? In compliance with the “right to be forgotten”, the data cannot be kept indefinitely. Organisations must ensure information not directly related to fraud prevention isn’t kept for longer than necessary. Just because fraud prevention falls under the umbrella of cyber security does not mean the company employs the best practices. Can they guarantee breach prevention as well as fraud prevention? At SEON, we have been fully aware of the GDPR since its inception. This has allowed us to plan accordingly, and to ensure our entire solution was designed around compliance to this new regulation. Listed below are some of the FAQs we have answered for clients. Feel free to contact us for any additional information. 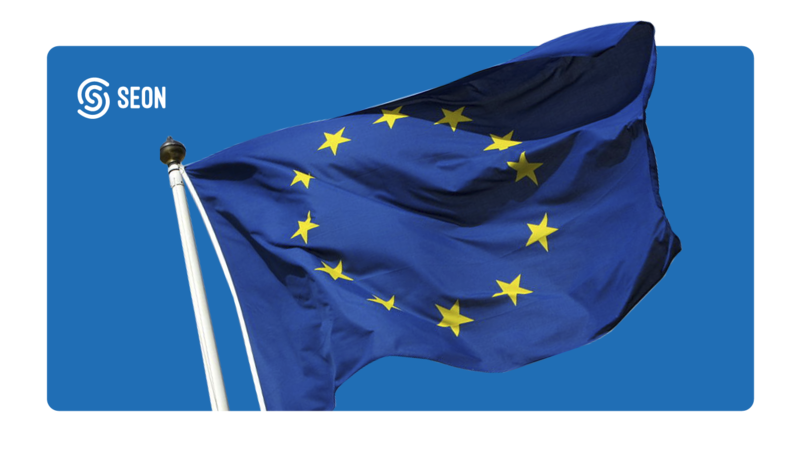 Must SEON comply with the GDPR? Absolutely. Our infrastructure including servers and databases are based in the EU (Frankfurt, Germany), which we can confirm via certificate. Can SEON legally process data? Yes. We are registered as a data-processor at the Hungarian National Authority for Data Protection, and Fraud prevention is a legal basis for processing data according to the GDPR. Can I share user data with SEON? We recommend your TOS should inform their clients about data-processing for fraud prevention services. We are happy to help you draft this document as needed. We make it very clear that our client data can be stored up to 1 year, and easily purged upon request. How safe is the data I share with SEON? At SEON, we are proud to have an appointed Data Security Officer. The role oversees security and ensures only our Head of Engineering has access to the production database (through dedicated, whitelisted VPN and encrypted keys). In the unlikely event that data is hacked, SEON’s standard agreement includes taking responsibility for data privacy, so you can use the platform with complete peace of mind. While the GDPR would indeed seem to increase users’ online privacy, it inevitably raises a number of questions. Will it actually have a positive effect? Will it make things harder for companies – especially small ones who may fall foul of EU regulators? And who will take to blame if data is breached between different data-sharing services? Whatever the future holds, there is no doubt the GDPR will profoundly reshape the Internet as we know it. Companies in all verticals will need to rethink the way they operate on a daily basis, particularly advertisers, publishers and fraud prevention providers. Hopefully, your fraud-prevention solution has already taken every step to ensure compliance – if not, we can only recommend you stay as educated about the GDPR as possible as it comes into effect.